Stephen Gargaro earned a Bachelor of Arts degree from Loyola Marymount University majoring in music and minoring in philosophy. In 1993 Mr. Gargaro earned his Juris Doctor from the San Francisco School of Law. He was admitted to the California State Bar in 1994 and became a workers’ compensation specialist in 2011. 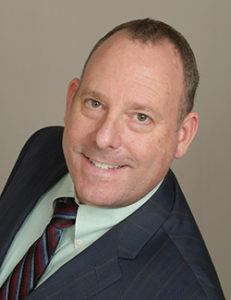 Stephen T. Gargaro has been practicing law in the State of California for over 23 years and is admitted and qualified to practice before all California state courts, the United States Court of Appeals for the Ninth Circuit, and the United States District Courts for the Northern, Southern, Eastern, and Central Districts of California. He has been practicing workers’ compensation defense exclusively since 2003. He joined the Encino/Greater Los Angeles office of Dietz, Gilmor & Chazen in 2017, utilizing his substantial knowledge to defend employers, insurance carriers, and third-party administrators. An avid musician, Stephen plays bass in a blues-rock band that performs around town.